Welcome to the Living Math Books site! I’m so glad you are here! This is a collection of living math books that can be used to teach and/or reinforce various mathematical skills. My desire is for this book collection to help facilitate a positive and FUN learning experience for children. The goal is to make math meaningful, one book at a time! The collection is divided up into categories based on the math topic addressed in the book. Click the green sidebar buttons to access books on popular math topics. Use the drop-down menu on the sidebar to see all of the topics included. Visit the page containing the complete list of math topics. Search via the search bar. 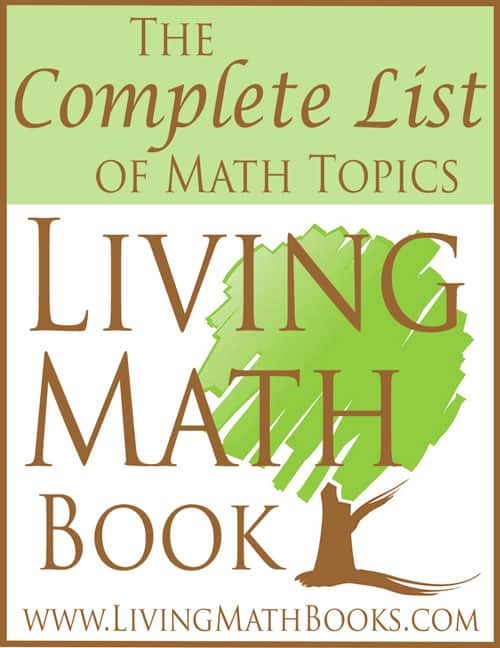 For more information about the Living Math Books site, be sure to check out the FAQ page. Wondering…what exactly is a living math book? Get the answer here!